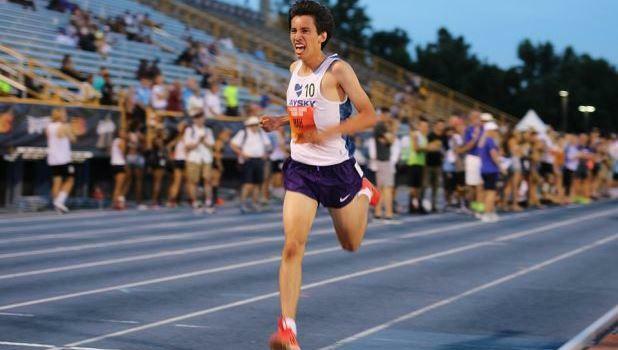 For the second straight year, a Massachusetts' runner took home the boys' 5,000-meter title at the New Balance Nationals. But it's not the one that most had expected. 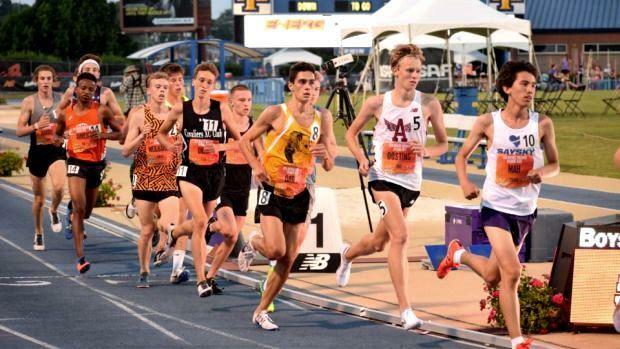 Newton North's Andrew Mah upset defending champion and fellow rival Ryan Oosting of Arlington to capture his first national title with a winning time of 14 minutes, 32.96 seconds. Oosting made it a 1-2 finish for the Bay State by taking second at 14:37.74. Oosting and Mah broke away from the pack, including third-place finisher Devin Hart (14:44.06), around two miles. With one lap remaining, it was a two-person race between the familiar foes. Mah then unleashed a furious kick the final straightaway to distance himself from Oosting and secure the win. His final 400m, 63.2! "I tried to put in a surge and he countered it right away," he said. "I kind of thought I was done at that point. But I just kind of tucked back in. On the final straightaway, I was still right on him. I just said, 'I got nothing to lose. I might as well just go for it.' I felt good. Something just clicked. I never really had a kick that fast against Ryan." Mah and Oosting will be back on the track again this weekend, except this time in different events. Mah will be competing in the Championship Two Mile on Saturday night, Oosting is the anchor leg for his team's distance medley relay, scheduled to compete on Sunday. In the girls' race, Amherst-Pelham's Sophia Jacobs-Townsley finished ninth overall with a time of 17:18.15.